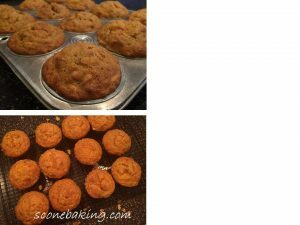 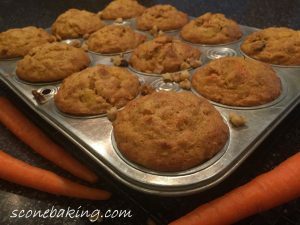 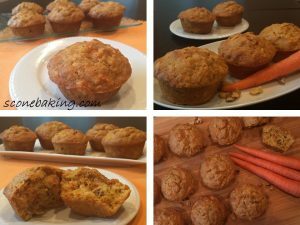 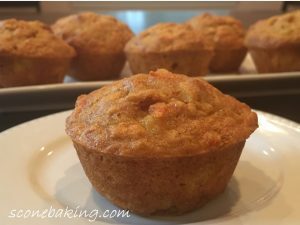 Here is a photo tutorial for these moist and delicious, Carrot Cake Muffins, which are so easy to make. 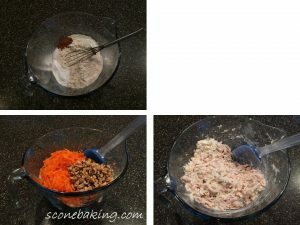 In a large bowl, whisk together first 6 ingredients (both flours, baking powder, baking soda, pumpkin pie spice, and salt). 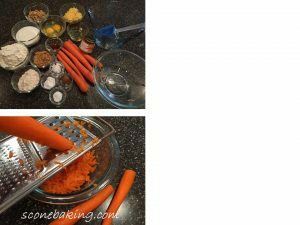 Stir in grated carrots and chopped walnuts, mix thoroughly; set aside. 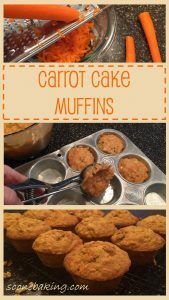 In a medium bowl, whisk together oil, eggs, vanilla, carrot baby food, sugar, brown sugar, until well blended; add drained pineapple, mixing thoroughly. 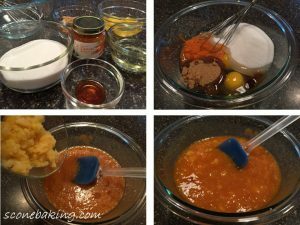 Add wet ingredients to dry ingredients, mix until just combined (do not overmix). 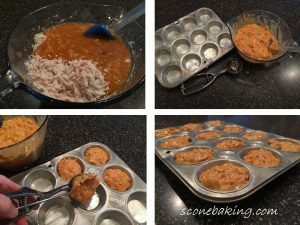 Fill prepared muffin tin cups 3/4 full. 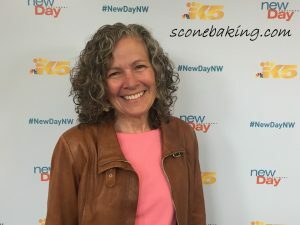 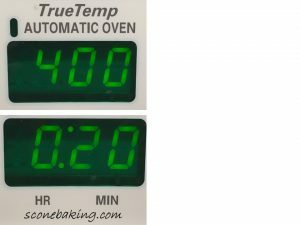 Bake at 400º F for 18-20 minutes, until golden brown (internal temperature should be 200º F.) or until a toothpick inserted into a muffin comes with a few crumbs (do not overbake). 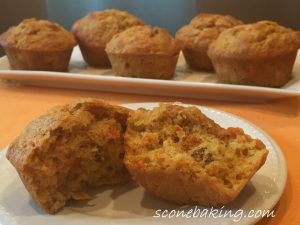 Remove from the oven and let cool for about 5 minutes, then remove from muffin tin and cool completely on a wire cooling rack.